This is a full hand work bridal handbag. From tailoring to embroidery ornaments. Like you already know I am addicted to everything is handmade in hight class of fashion. This is so pretty. Just love it . Wow, how remarkably elegant. The best to you as ever! You truly have a talent and gift of what you do, this is a very impressive piece. Foarte frumos si elegant ,felicitari ! Thats a worthwhile Obsession to have! Lol! and the word hobby would be too poor to describe the desire and the talent! I am impressed! Your bridal bag is gorgeous! Great work! This is lovely! Thanks for passing by my blog, Adeline. What pretty beadwork. And the feather is a nice embellishment. 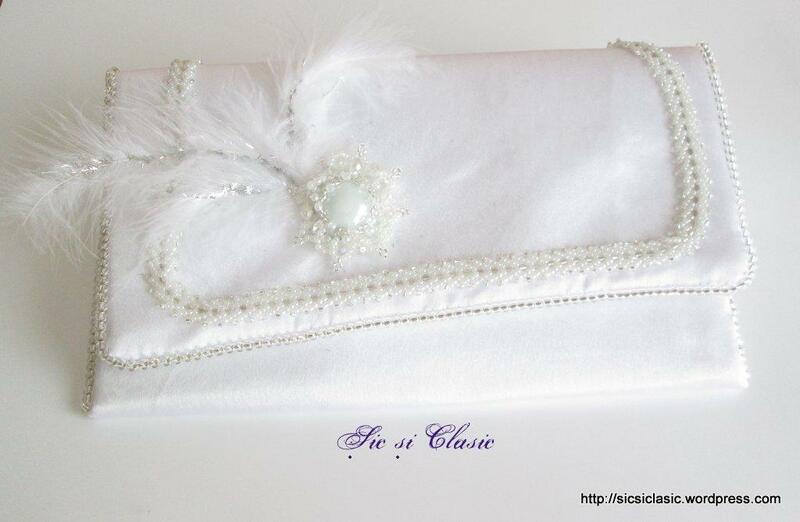 This beautiful bag would be a fantastic accessory for any bride, Wonderful!! !